Each general contractor will not be licensed for the state level in Oklahoma. It is best to check with your county or city for further licensing requirements. Plumbing, mechanical, and electrical contractors will not have to hold a license from the state. Each roofing contractor will need to fill out a roofing contractor registration application. Oklahoma doesn’t license resident construction contractors, except in the electrical, mechanical and plumbing trades. But there are some special requirements for nonresident contractors. If you’re not a resident of Oklahoma, you must post a bond equal to three time the tax liability (or 10%) of any contract you get in the state. You also need an employer identification number from the Oklahoma Tax Commission and the Oklahoma Employment Security Commission. Experience, Exam, or Education Requirements: Are Any Required for a Contractor License in Oklahoma? No, there are not for the state level for each general contractor. It is important to check with the county and city for further requirements. Exams and experience are required for mechanical, plumbing, and electrical. It is also best to check with the Construction Industries Board for further requirements and information. Contractor Continued Education: Does Oklahoma Require It? No, they do not for a general contractor. 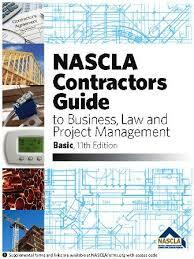 NASCLA Commercial Contractor License: Is This Accredited License Accepted by Oklahoma? General Contractor, Commercial Contractor License: Is This Required by Oklahoma? Check with your local county or city for further regulations. It is best to check with your local county for the regulations. You will need have a license for one year minimum in order to reciprocate for the electrical. Question: How do I register my construction company in Oklahoma? What forms do I need to register my new company in Oklahoma? Question: How do I look up a company in Oklahoma or see if a company name is available to register?